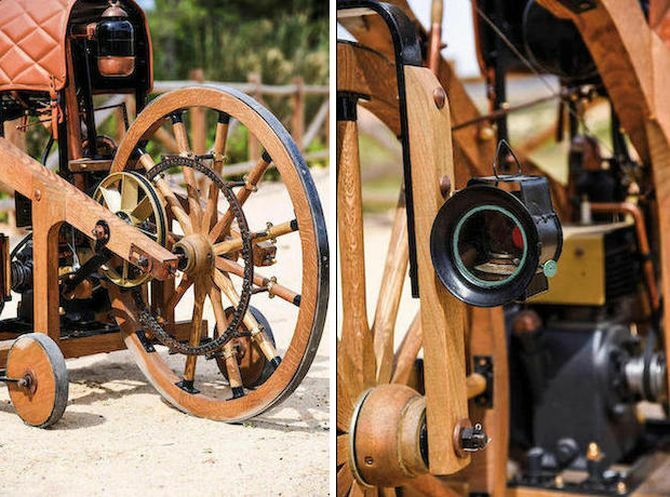 He has created the exact wooden replica of Reitwagen just by looking at detailed drawings and photographs of the original. 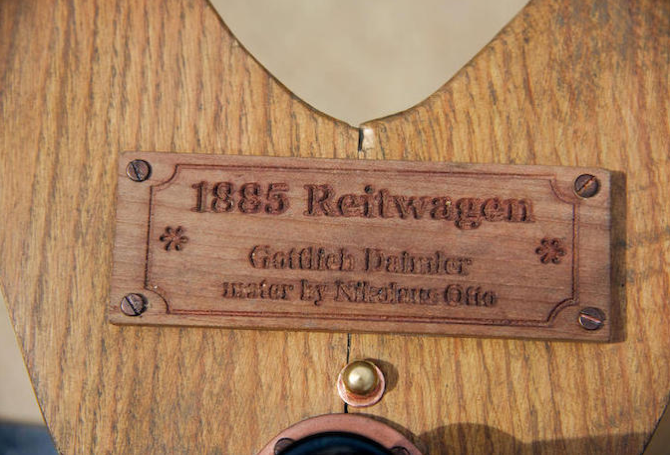 This wooden model is the closest anyone will ever get to the Gottlieb Daimler’s original prototype that was destroyed in a workshop fire in 1903. 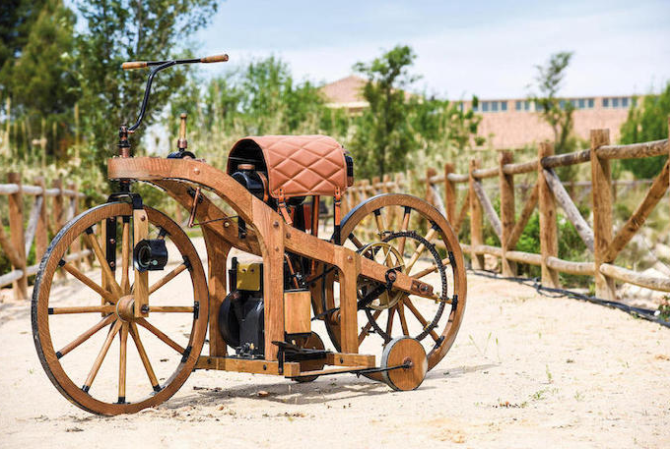 In the early to mid-1880s, Daimler and ‘the king of designers’ Wilhelm Maybach built a 264cc, 0.5hp air cooled engine that they fixed in the handbuilt two-wheeler prototype. 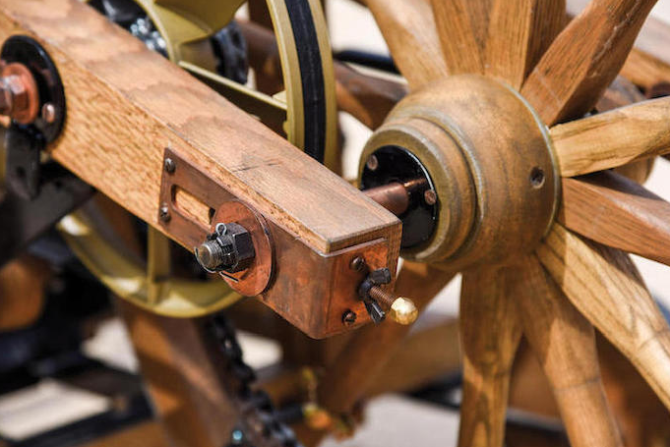 That model featured steel-reinforced timber frame, iron-tired cart wheels, and a horse-type saddle. On November 10, 1885, Daimler’s 17-year-old son Paul made history by completing the first journey by motorcycle when he rode the Reitwagen on a 7.5-mile round trip from his father’s workshop. 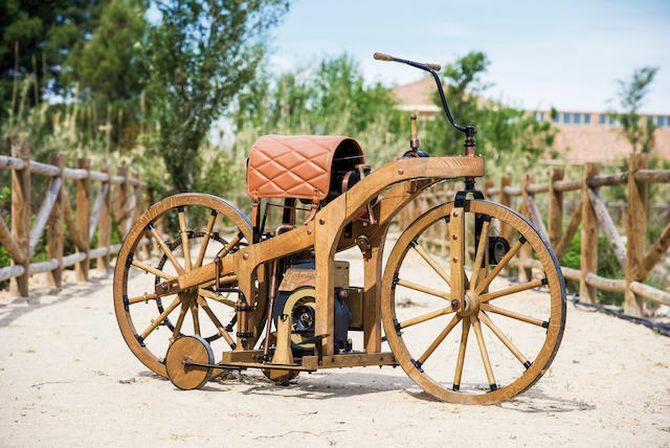 The craftsman of the wooden bike replica had completed the model in 2015 and after two years, he wants to sell it at an auction with Bonhams. The build that they are going to sell is made with standard precision and took countless man hours and endless dedication to complete. An auction spokesman mentioned that this would interest any motorcycle enthusiast, as well as, those who want a piece of history from the automobile industry in their home. The Reitwagen replica will be sold at the National Motor Museum, Beaulieu, in Hampshire on September 2.